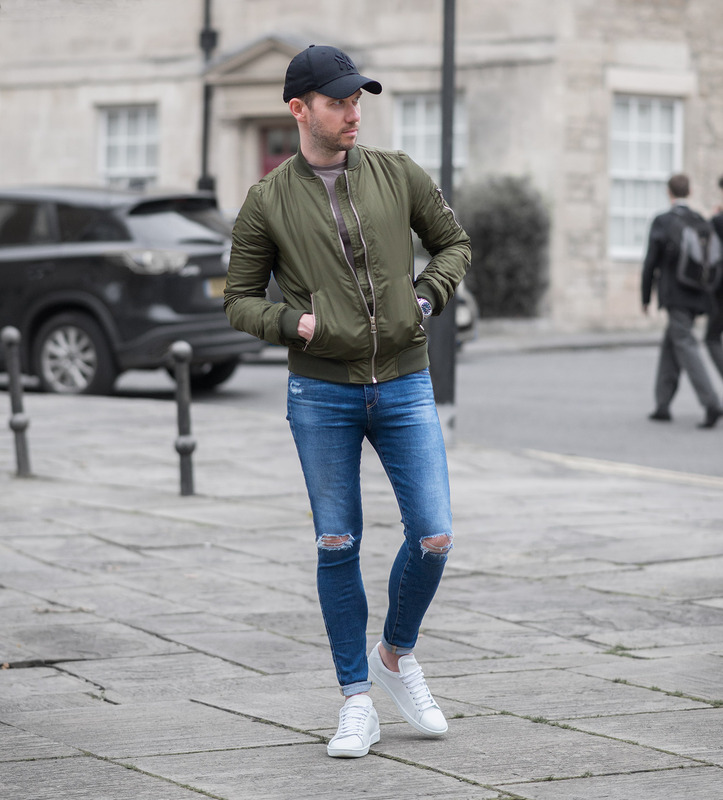 For today’s outfit post, I turned back to one of my favourite looks – Green Bomber Jacket and white sneakers! One of my classic outfit combinations, easy to wear, comfortable and something I return to again and again! Despite my love of this combination, many months have passed since I dug out (literally, as it was hidden beneath a pile of other clothes!) 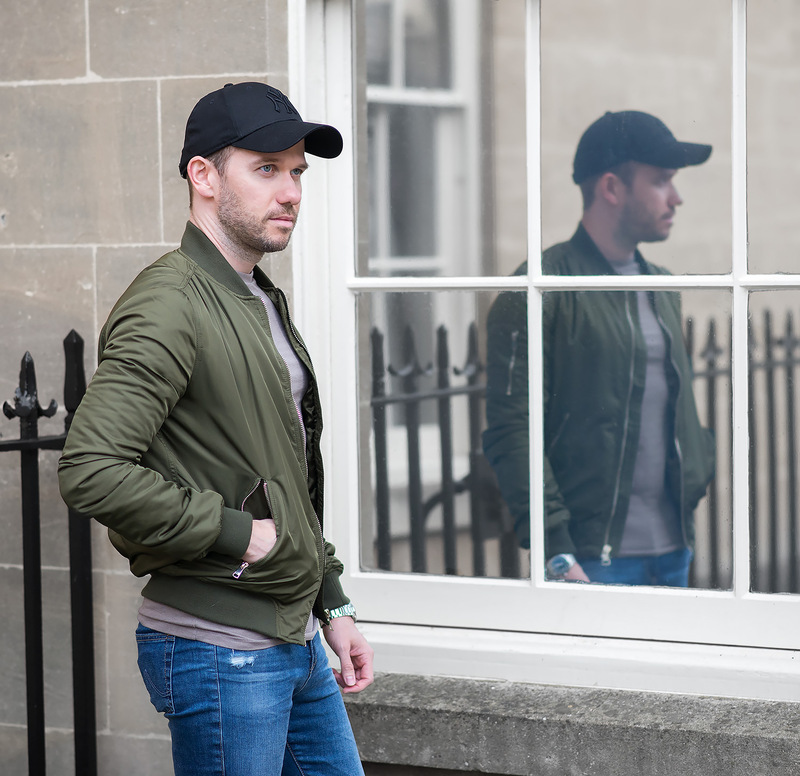 my Topshop Green Bomber Jacket. It has been over a year since I first built up the courage to purchase this women’s jacket, but I still have a lot of love for it! The size 10 is still a perfect fit, so I’ve decided to add another to my collection, albeit in a different colour. I’m currently keeping a close eye on the Topshop new releases, anxiously awaiting any new additions to their bomber jacket selection. I chose a pair of AG skinny jeans (on sale) from my collection of women’s denim, featuring a stunning medium light blue wash which is a perfect match to the deep green tones of the jacket. Readers with a keen eye will easily identify Saint Laurent as my sneaker choice, I’m still dealing with the occasional bout of discomfort, the odd blister is a worthy sacrifice when wearing these beautiful shoes! Check out my review for my full in-depth opinion! 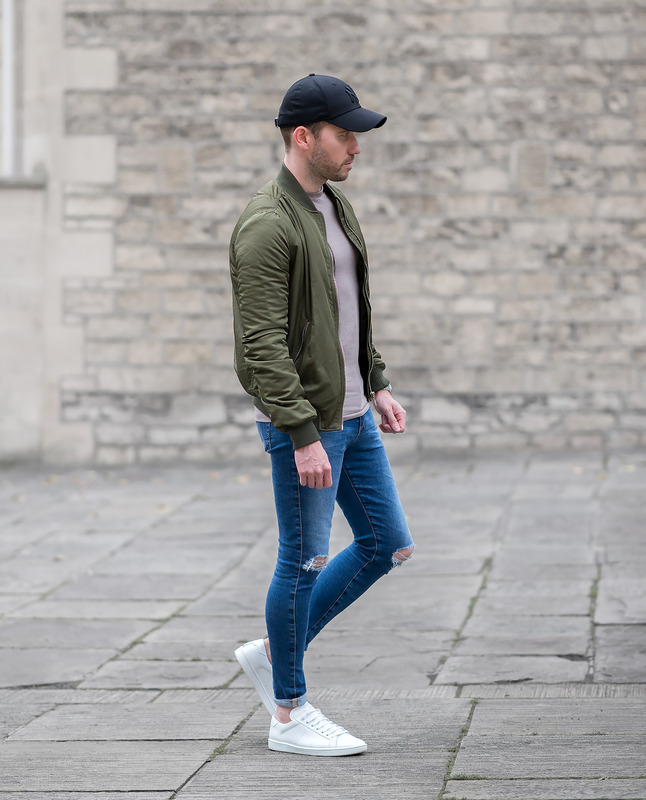 What do you think of bomber jacket outfits? Please let me know in the comments below!